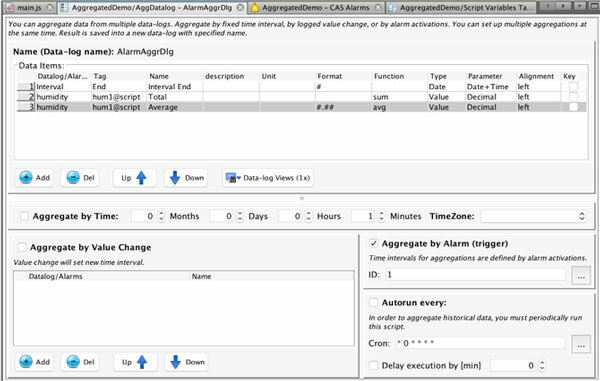 Alarm activation aggregates can be useful if you use alarm as your trigger for time interval changes. Usage is quite simple and straight forward, the alarm activation sets the aggregate interval. To define, aggregates base on Alarm activations, please check the “Aggregate by Alarm (trigger)” check box and fill in the alarm ID or IDs. We will log production based on the production line activation signal. As you can see, for each alarm activation period, you get one row in the aggregated data log.